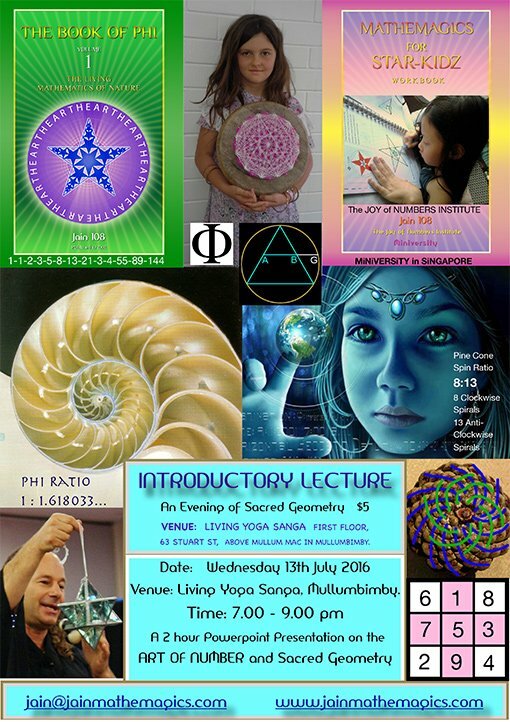 Due to high demand for extra-curricular, private home lessons on Sacred Geometry, I will be giving public classes in Mullumbimby town, at the Living Yoga Sangha (above the Newsagency) for Term 3 this year, for 2016. I will be running a 10 week Certificate Accredited Course. I will be focussing on the Living Mathematics of Nature for all classes, all of which are very important topics for the budding genius. 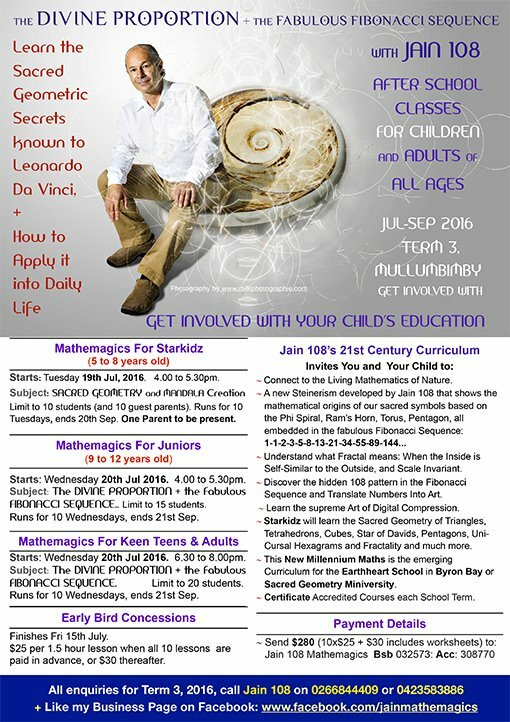 10 Tuesdays in Jul-Sep. One Parent must be present. 6.30pm to 8.00pm. Limit to 20 students. All 10 classes must be paid in advance. (Bookings after this date will be $30 per class, total of 10x$30 + $30 worksheets = $330). Earlybird Registrations = $280 before Friday the 15th July. compasses, not cheap plastic ones).